Named a Cruise World Wonder by Condé Nast Traveler, this beautiful Byzantine cathedral (from 532 AD) hovers silently over its surroundings, as it has for the last 1500 years—and you can experience it with Princess. Explore the ruins of Rome, Renaissance treasures in Florence and the canals of Venice on a Mediterranean shore excursion. Savor the delicate flavor of "Koum Kouat" liqueur, grown only in Corfu. Catch some rays on the sun-drenched beaches of Mykonos. Experience the best of Istanbul and tour Topkapi Palace, home to one of the largest diamonds in the world. With Discovery Recommended and Exclusive excursions available only on Princess Cruises, you will see the Mediterranean in a whole new way. Cruises to the Mediterranean allow you the opportunity to view the extraordinary masterpieces such as Botticelli's Birth of Venus and the world-famous statue of David in Florence. Marvel at the works of Michelangelo in the Sistine Chapel, and peruse the Vatican's massive art museum. 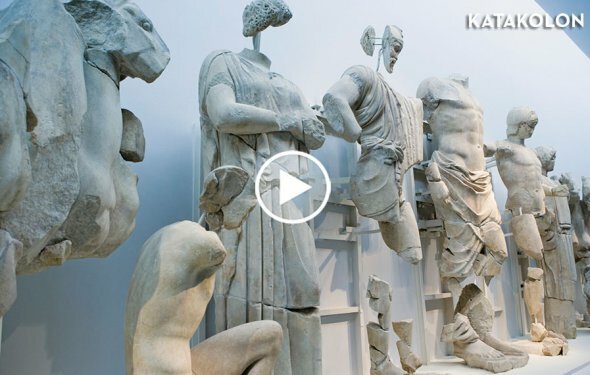 Explore the renowned Picasso Museum in Barcelona, the stunning tile work in Istanbul's Blue Mosque, and the world-class collection of Cycladic art and Byzantine artifacts in the celebrated museums of Athens. Ascend to the temples of the Acropolis, towering above the Athenian landscape. Marvel at the sheer magnitude of the Colosseum, magnificent St. Peter's Basilica in Rome and the iconic Leaning Tower in Pisa. St. Mark's Basilica in Venice is an extraordinary example of Italo-Byzantine architecture, while Istanbul’s Hagia Sophia is one of the greatest surviving examples of Byzantine architecture.